You fell in love with your new puppy the moment you met. Those big eyes and those floppy ears melted your heart. Your puppy is so cute that you simply forgot how much they have to learn in the beginning. Don’t worry – your new puppy will master house training with these tips. 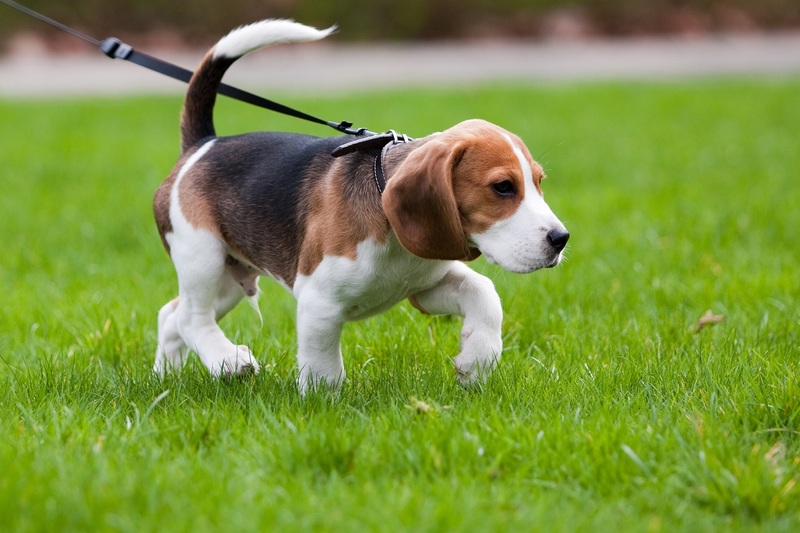 Your puppy should go outside first thing in the morning and again immediately after breakfast. In the unlikely event they don’t finish their meal, pick up any leftover food. This will help regulate their system – and cut down on accidents in the house. Monitor their water intake and take them out more frequently if they’ve played hard and consumed extra. It’s also a good idea to pick up the water bowl a couple of hours before bedtime. When they finally go potty, sing their praises with enthusiasm and excitement, a belly rub and a small treat. Dogs are great at associating your reaction with the things they do. When your puppy has to be left alone, confine him to a small space such as the kitchen or his crate, if you are crate training. If you’ll be gone for more than an hour, leave a water bowl with his bed, a non-hazardous toy, and his empty food dish. Dogs don’t like to go potty where they eat and sleep, so this setup will help prevent accidents. Top Notch Tip: A good rule of thumb to remember as you’re house training your puppy is that he can only hold his bladder for his age in months. If he’s 4 months old, he can go about 4 hours between potty breaks. Accidents will happen, but it’s important to remember your puppy is still learning. Try to be patient and consistent and he’ll be a seasoned pro before you know it. If you can’t be home to take your puppy outside, find a top notch pet care provider who has experience training puppies. This will help ensure progress in continually made in all aspects of your puppies growth. 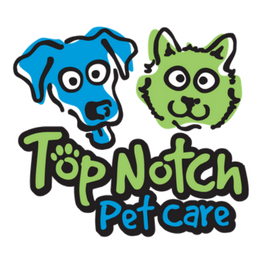 Give us a call today to chat about your puppy’s schedule.